T-Mobile’s got a handful of gifts coming next week for T-Mobile Tuesdays, including something to help keep you warm during the upcoming winter season. For the December 19th edition of T-Mobile Tuesdays, T-Mo customers can score a free sausage biscuit from Carl’s Jr. and Hardee’s, $20 off the LG Tone Pro 780 earbuds from T-Mobile, and $15 off tickets from SeatGeek. Also available is a one-year magazine subscription from Hearst Magazines, which is home to titles like Popular Mechanics, Esquire, and Marie Claire. Rounding out next week’s gifts is a T-Mobile scarf. 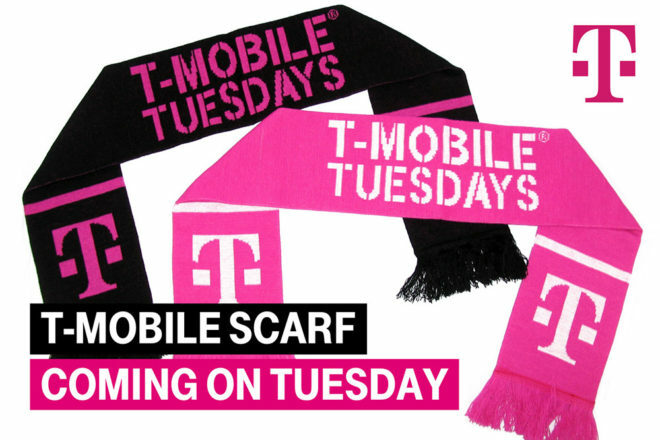 There are black and magenta scarves pictured, each with the “T” logo on each end and “T-Mobile Tuesdays” printed in the middle. 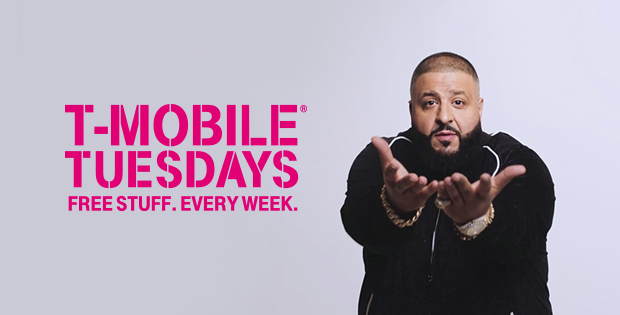 T-Mobile will have several different prizes for next week’s T-Mobile Tuesday. First up, 20 grand prize winners will each receive one Redbox rental every week for a year. That means you’ll get 52 promotional codes good for a one-day DVD, Blu-Ray, or game rental. Two first prize winners will each receive a $300 Shell gift card. Seven second prize winners will each get a month of coffee from Dunkin’ Donuts. This prize is awarded as a $50 Dunkin’ Donuts gift card, based on 20 large hot coffees at a price of $2.50 each. Sixteen third prize winners will each receive an LG G6. Eight fourth prize winners will each get an Xbox One S video game console. Finally, 13 fifth prize winers will each get a $200 Airbnb gift card. So the headphones on sale will be $10 more than Amazon’s price for the black ones….fail. Math was not your subject was it? I am amped for that scarf since I tweeted and got a reply from JL about it a few days ago. Team magenta!! Why is a $50 Dunkin’ Donuts gift card the second place prize? According to its value it should be fifth. I’ve never seen anyone post that they have won a prize. Anyone? just won an lg g6 !!! !